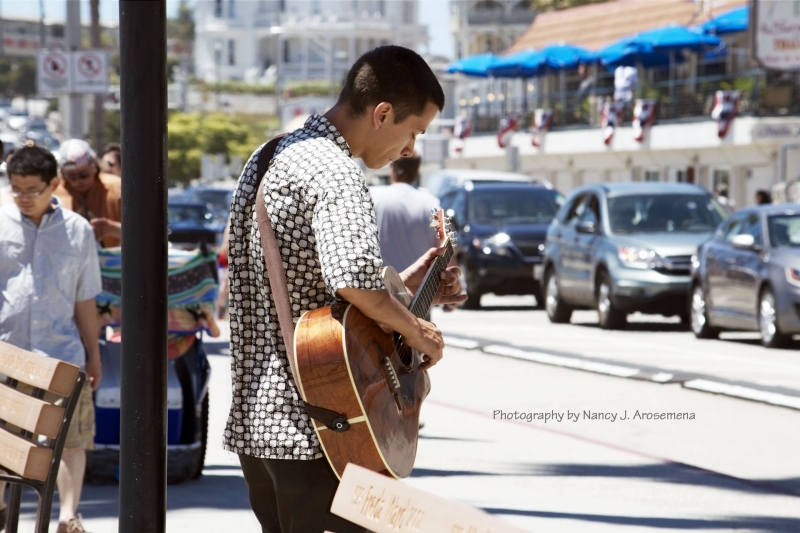 Spent the day in Santa Cruz, and captured a Street Musician just trying to make a living. I come from a family of talented musicians, and I have a lot of respect for those trying to make a living any way possible. I believe musicians are truly angels in disguise saving us from a hum drum, boring life.